Sponsors of EuroRun - freshproject-euroruns Webseite! The call was initiated by the European Federation of Freshwater Sciences (EFFS) board, the European Fresh and Young Researchers (EFYR) and representatives of the Fresh Blood for Fresh Water (FBFW) meetings. It was part of an "equal opportunity call" which was open to all young members of the limnological societies constituting EFFS. National societies from Austria, France, Germany, Italy, Spain/Portugal, Switzerland and United Kingdom financially support this project. 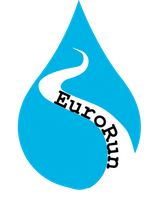 EuroRun is co-funded by the Leibniz-Institute of Freshwater Ecology and Inland Fisheries in Berlin.